God in His mercy had sent messengers to convey us, to different peoples, in different times. Each prophet came with guidance and miracles that were relevant for his time and for his people, but the message was the same: That there is only one God and worship is for him alone. This “Islam” was the religion brought by all the prophets of God. Islam was the religion of Adam, Noah, Abraham, Moses and Jesus (peace be upon them all). God has in His Grace, addressed this issue to man in His final revelation, the Noble Quran. Islam (/ˈɪslɑːm/; Arabic) is a verbal noun originating from the triliteral root s-l-m which forms a large class of words mostly relating to concepts of wholeness, safeness and peace. It is an Abrahamic religion articulated by the Quran. It is revealed to Muhammad (pbuh) , the last prophet of God and the adherent of Islam is called Muslim. In Islam God is called Allah . Other non-Arab Muslims might use different names as much as Allah, for instance “Tanri” in Turkish, “Khodā” in Persian or Ḵẖudā in Urdu. Allah is the term with no plural or gender used by Muslims and Arabic-speaking Christians and Jews to reference God. In addition, Muslims and Jews repudiate the Christian doctrine of the Trinity and divinity of Prophet Jesus (pbuh), comparing it to polytheism. In Islam, Muslims are not expected to visualize God. 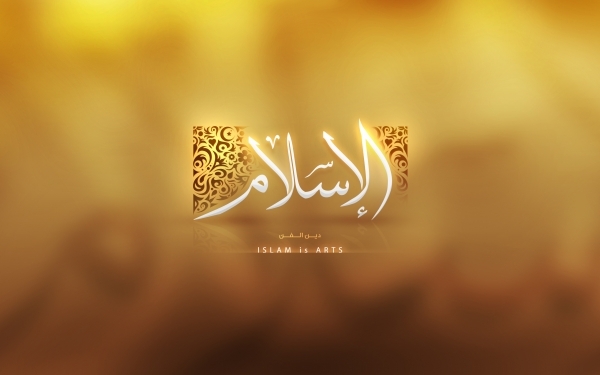 God is described and referred to by certain names or attributes, the most common being “Al-Rahman”, meaning “The Compassionate” and “Al-Rahim”, meaning “The Merciful”. “Nabuwwah” means “Prophet Hood”. It comes from the world “Nabi” that is mentioned in Old Testament too, as the meaning of God’s messenger. Nabi denotes that God has appointed Prophets and Messengers to teach mankind the religion. Religion is the perfect system of how to live in “peace” or “submission to God”. Prophets are Messengers which are appointed by Allah to bring the message of God to people and spread that message while the Imam (leader) is appointed by Allah to protect that message since ordinary people will fail to do so. If people were left with the message alone, the true message could not survive long and would have undergone changes. Imams were therefore appointed to take care of the message and prevent people from going astray after the last prophet. They believe the time of “Qiyamah” is preordained by Allah but unknown to man. Every human, Muslim and non-Muslim alike, is held accountable for his or her deeds and are judged by Allah accordingly. In fact, Allah revive human to reward benefactors and punish wicked as he has promised in all Abrahamic religions especially in Quran. As it is mentioned before, Imam should continue the revolution of the prophet and be leader after the prophet. Islam prescribes very high qualification for a divine leader. He should be the most knowledgeable, the wisest, and the most gallant of all people. He should also be immune from every kind of sin, mistake and error. this is just described in Shia theology as another principles of Islam. “‘ash’hadu ‘an-lā ilāha illā-llāhu wa ‘ash’hadu ‘anna muhammadan rasūlu-llāh“, or “I testify that there are no deities other than Allah alone and I testify that Muhammad is his Messenger.” This testament is a foundation for all other beliefs and practices in Islam. Muslims must repeat the shahadah in prayer, and non-Muslims wishing to convert to Islam are required to recite the creed. Daily prayers, called Ṣalah or Ṣalat (Arabic: صلاة), Namaz (نماز) in Persian, must be performed five times a day. Salat is intended to focus the mind on Allah, and is seen as a personal communication with him that expresses gratitude and worship. Salat is compulsory but flexibility in the specifics is allowed depending on circumstances. The prayers are recited in the Arabic language, and consist of verses from the Quran. The prayers are done with the chest in direction of the Qibla (Kaba, Mecca) though in the early days of Islam, they were done in direction of Aqsa Mosque, Jerusalem. Fasting, (Arabic: صوم‎ ṣawm), Rouzeh in Persian, from food and drink (among other things) must be performed from dawn to dusk during the month of Ramadan. The fast is to encourage a feeling of nearness to Allah, and during it Muslims should express their gratitude for and dependence on him, atone for their past sins, and think of the needy. Sawm is not obligatory for several groups for whom it would constitute an undue burden. For others, flexibility is allowed depending on circumstances, but missed fasts usually must be made up quickly. “Zakat” (Arabic: زكاة‎ ) is giving a fixed portion of accumulated wealth by those who can afford it to help the poor or needy and for those employed to collect Zakat; also, for bringing hearts together, freeing captives, for those in debt (or bonded labor) and for the (stranded) traveler. It is considered a religious obligation (as opposed to voluntary charity) that the well-off owe to the needy because their wealth is seen as a “trust from God’s bounty. The Quran and the Hadith also urge a Muslim to give even more as an act of voluntary alms-giving called Sadaqah (صدقه). The pilgrimage, called the Hajj (Arabic: حج‎) has to be done during the Islamic month of Dhu al-Hijjah in the city of Mecca. Every able-bodied Muslim who can afford it must make the pilgrimage to Mecca at least once in his or her lifetime. Rituals of the Hajj include: spending a day and a night in the tents in the desert plain of Mena, then a day in the desert plain of Arafat praying and worshiping Allah, following the footsteps of Prophet Abraham (pbuh). Then spending a night out in the open, sleeping on the desert sand in the desert plain of Muzdalifah, then moving to Jamarat, symbolically stoning the Devil ( the symbol of Devil is Obelisk) recounting Prophet Abraham’s actions. Then going to Mecca and walking seven times around Kaba which was built as a place of worship by Prophet Abraham (pbuh), Then walking seven times between Mount Safa and Mount Marwah recounting the steps of Prophet Abraham’s wife, while she was looking for water for her son Ismael in the desert, before Mecca developed into a settlement. Many practices fall in the category of Adab (behavior) and Islamic dietary laws, or Islamic etiquette. This includes greeting others with “Salam” or “as-salamu `alaykum” (“peace be on to you”), saying Bismillah (“in the name of Allah”) before meals, and preferring to use the right hand for eating and drinking. Islamic hygienic practices mainly fall into the category of personal cleanliness and health. Circumcision of male offspring is also practiced in Islam. Islamic burial rituals include “funeral prayer” over the bathed and enshrouded dead body, and burying it in a grave. In Islam, Mother has the role of children breeding and training, that is why Allah gave a mother mercy and patience (two of his qualities). A Muslim woman should be able to bring honest and nice children up who have advantages for their society, those children can make a family in the future and as a result, we will have an excellent society. Status of woman in Islam is incomparable to the other religions or ideologies: In Arabia, before Islam, men had been buried alive girls. Women had no rights whatsoever and were treated no better than a commodity. Not only were they enslaved, but they couldn’t also be inherited as a possession. They were subordinate to their fathers, brothers, and husbands. In Hindu scriptures, the description of a good wife is as follows: “a woman, whose mind, speech and body are kept in subjection, acquires high renown in this world, and, in the next, the same abode with her husband. It was believed that a woman should cremate when her husband was dead as she was alive. There was widespread Christian belief that the woman had no soul. In 586 AD, the Council of Macon was held to decide whether the woman was a body that had a base soul or that she did not have a “saved” soul. They made an exception to Mary (pbuh), may God exalt her mention, because she is the mother of Prophet Jesus (pbuh). In the pre-Islamic period, the Arabs regarded the woman as a piece of property or as rubbish. When the husband died, his guardian would cover the wife of the deceased with his garment and she could not remarry. They used to prevent her from remarrying until the young matrimonial guardian would grow up and then decide whether he wished to marry her or give her in marriage to anyone else and take the dowry as long as she was not his mother. If she was his mother, he would not marry her. The woman had no rights and she did not inherit anything. She was considered a source of humiliation and shame. The Quran dedicates numerous verses to Muslim women, their role, duties and rights. In Quran, woman is named as the relaxation for man, as Allah says: “and of Allah’s signs of power is that he created mates for you from your own kind, [i.e., human being] to seek peace and happiness from one another and he caused love and kindness between you; and in all these there are signs of Allah’s power and divine wisdom for men of thought” (Surah Al-Rum, verse 21). Allah wants men to care about women, love them, speak them softly, not to strict or hurt them because woman is divine trust. If a man slap or hurt a woman, he should pay atonement to her. Right to vote, have been given to the women In the United State, by 1920, but the right of voting was given to the women in Islam more around 550 AC. Islam knows the woman as the base of family and because of that the great responsibility of upbringing is taken on woman shoulders, i.e. motherhood. In Islam, there is no difference between men and women’s relationship to Allah; they receive identical rewards and punishments for their conduct. Many classical Islamic scholars, supported female leadership. In early Islamic history, women including Aisha, Ume Warqa, and Samra bint Wahaib took part in political activities. Women have played an integral part in the development and spiritual life of Islam since the inception of Islamic civilization in the seventh century AD. Lady Khadijah (pbuh), a businesswoman who became the Prophet Muhammad’s first wife, was also the first Muslim woman. There have been a large number of female saints throughout the Islamic world.